BIG BLUE WAVE: Does Bodily Autonomy Justify Abortion? No. Does Bodily Autonomy Justify Abortion? No. LTI's abstract of an article by Rich Poupard. Re-formatted. The bodily autonomy argument and their defenses of it fail for at least four reasons. First, the argument fails to account for situations in which a mother harms but does not kill her child; given its logic, it would affirm a mother’s decision to intentionally take a medication that will cause birth defects in her child, for example. Second, the argument assumes that prenatal parental responsibilities are largely voluntary. Third, the analogies used to support the argument fail to take into account the difference between diseased and healthy physiological states. Fourth, the argument results in absurdities if taken to its logical conclusion. Taken as a whole, then, the bodily autonomy argument does not give us justification to jettison our deepest moral intuitions that mothers should not intentionally kill their offspring, whom proponents of this argument concede are rights-bearing individuals. Intentionally killing human fetuses in the act of elective abortion thus remains a great moral wrong. I have a hunch that the people who put forward this argument do so in a intellectually dishonest manner. Because it is never argued by anyone who actually believes fetuses are equal human beings or persons. Since they don't actually believe that the fetus is a rights-bearing equal human being, they say he is in order to make their argument sound plausible. 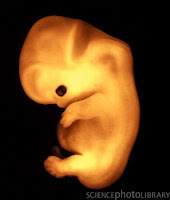 Unconsciously, they reason: what's the harm with saying that fetuses are rights-bearing people? Bodily autonomy trumps no matter what, and fetuses aren't ACTUALLY people, and this argument makes our side win the philosophical debate. That's sophistry. It's not sincere truth-seeking. You can't sincerely argue as if the fetus is a person if you don't believe it.